Application security must be re-envisioned to support software security. It's time to shake up your processes. There's no denying that an enterprise's application ecosystem must be protected, especially when the average total cost of a breach comes in at $3.62 million. But thwarting increasingly severe and frequent threats requires a holistic approach to security, one that places emphasis on managing not only application vulnerabilities but all software exposure. In fact, the term "application security" should be removed from an organization's vocabulary and replaced with the broader term "software security." Software serves as the backbone to much of the digital transformation taking place within organizations today, which means it's time for CIOs, security leaders, and DevOps roles to come together and understand that the approach to securing software needs to evolve as well. Mobile, cloud, the Internet of Things, microservices, and artificial intelligence, for example, have made software more complex. However, the emphasis remains focused on speed over security, disregarding the DevOps process, sometimes entirely. Historically, traditional security approaches have slowed the speed of development by acting as deliberate benchmarks that developers must "check off" in order to resume coding activities. This alone gives essential security practices a bad reputation within an organization, but it also adds to the misguided stigma that developers are a source of the issue. Suddenly, you have a divided force that opens an enterprise up to software exposure. We see careless oversights and avoidable mistakes being made throughout all stages of the software development life cycle (SDLC). Addressing complex software development and related vulnerabilities requires a shift away from a siloed security approach to one that encompasses software as a whole and integrates it from the start of the SDLC. Let's review the definitions of software and applications. Software is "organized information in the form of operating systems, utilities, programs, and applications that enable computers to work"; an application is "a program or group of programs designed for end users and written to fulfill a particular purpose of the user." We tend to use the word application as a simple way of talking about user interfaces. But really, the security of an app extends well beyond the UI to include back-end systems and integrations. Software is the umbrella for anything written in code; an application is a component of software and just as vulnerable. Applications allow a user to perform a task or activity while software executes that task or activity. Application security came about as initial security testing focused on testing a running application, much like quality assurance testing, and ignored the back-end software components. If something is written in a coding language, then it needs to be tested to ensure it is secure. All software is written in a coding language. Software is the ecosystem of technology while applications are the entry point into that ecosystem. Today, the complexity of software certainly perpetuates the security problems we're facing. Organizations such as Panera, Facebook, and Lord & Taylor, to name a few, have learned the hard way that vulnerabilities within an application often signal greater software exposure because, at the end of the day, an attack or hack implicates both. And with the one-year anniversary of Equifax mega breach just behind us, it's a stark reminder that we need to understand what's in a software stack. In the case of Equifax, an exploited vulnerability in the popular open source web software Apache Struts led to the compromise of almost 150 million people's personal information. There's much work to be done to improve the state of software security. Organizations need to move beyond the barriers and limitations of traditional gated security approaches and move to a new era of full visibility and control over their software exposure at any stage of the development life cycle. Proper and consistent training should be funded and provided across entire organizations. Remediation efforts need to be made into actionable insights that address vulnerabilities within the entire SDLC. Everyone that touches software and participates in the security of it needs to be forward thinking, forgetting the typical nuances of the past. Long gone are the days where organizations could be unprepared for and caught off-guard by compromised data and other cyber-incident damage. Attacks are only going to grow in frequency and complexity, as will software itself. As such, application security must be re-envisioned to support software security. AppSec is dead. Software security is alive and well. Software security IS the right path. I agree with the previous commenter that having the static and dynamic testing built-in to the build process that keeps security testing proactive, rather than reactive (after deployment) is key. I stopped doing Application Security about a year ago mostly due to the burn out of working with new kids being taught in school the insecure way to code all the way to the old school dev that has been coding since the Com64 thinking "if it ain't broke don't fix it"; however the point here is I have been doing this for some time too. Now, Matt Rose seems to think that for whatever reason the industry should shake what it has already worked so hard on and just throw it away. Software Security is not the same thing as Application Security. They can NOT be intermingled and they are in so way similiar. Building an application, something an end-user actually uses, should not be treated the same way the back end database gets built. One gets handled with configuration management, I.E. company policies on how something should be configured and can be audited easily, while the other is handled with vulnerability management, I.E. with reactive response such as code review, penetration testing, or vulnerability scanning. 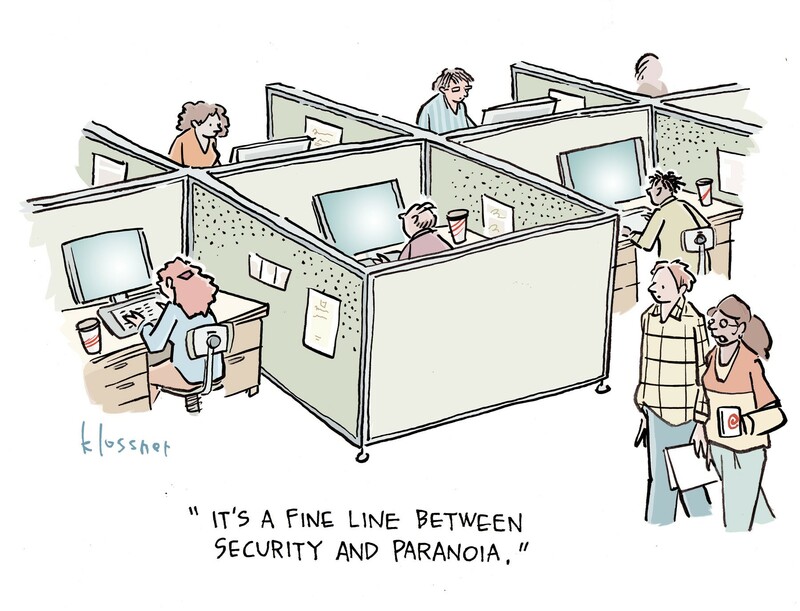 DevOps and Agile do not have the time that security needs to do all of our checking. So with that, Security needs to be baked into the SDLC process, not bolted on like some crap Captcha. Individuals that show the aptitude, need to be dubed security champions within their team, to help make sure best coding practices are followed. We, as senior staff, need to stop trying to change things just for the sake of change or because we learned new words and think they need to go in a different order. This post wreaks of someone living in the Waterfall days, knowing just enough about security to cause more harm than good. AppSec is not dead, but arrogance over how it should be handled needs to be.